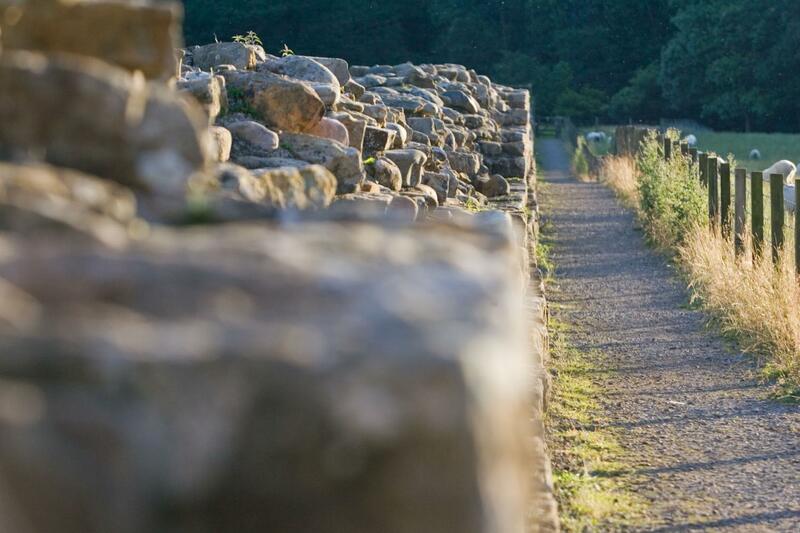 Challenge yourself to complete this famous 24-mile section of Hadrian’s Wall in 2 days. Starting at Lanercost Priory to the east of Carlisle, it includes the very best gems of the wall, including Great Chesters Fort, the imposing Steel Rigg, the iconic Sycamore Gap (where Robin Hood Prince of Thieves was filmed), the vast Housesteads Fort and many, many milescastles finally finishing in Chollerford. 84 miles in length Hadrian's Wall traverses from Bowness on Solway on the West coast of England through beautiful countryside and historic cities to Segedunum Fort on the East coast of England. Designated a UNESCO World Heritage Site in 1987, it is the best-preserved frontier of the Roman Empire. 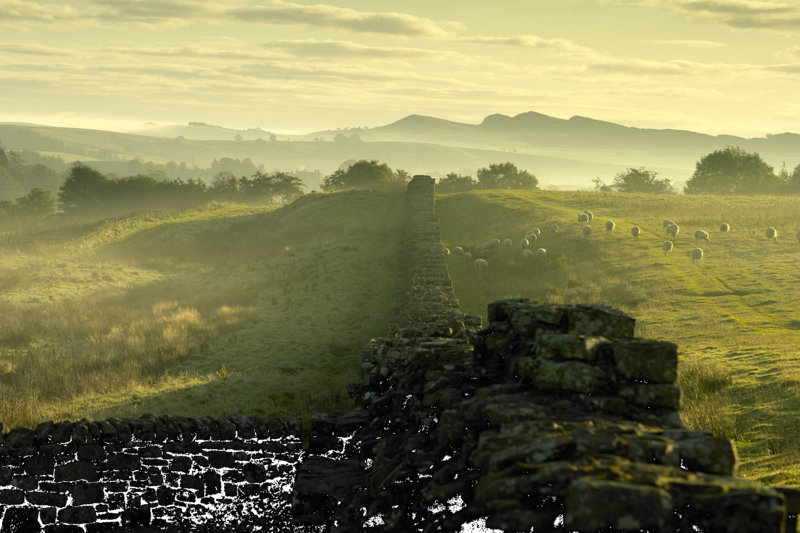 Building began in 122 AD during the reign of emperor Hadrian and included the stone base of the wall, forts every five miles, a military road, defensive ditches and milecastles. Astoundingly, a significant proportion of the wall still stands and you can clearly gain a sense of what it must have been like for the Roman Legionnaires to be stationed in this far-flung corner of the Roman Empire. The trail is well signposted and despite the fact that it has become one of the most popular tourist attractions in Northern England, it retains a real sense of quiet wilderness. 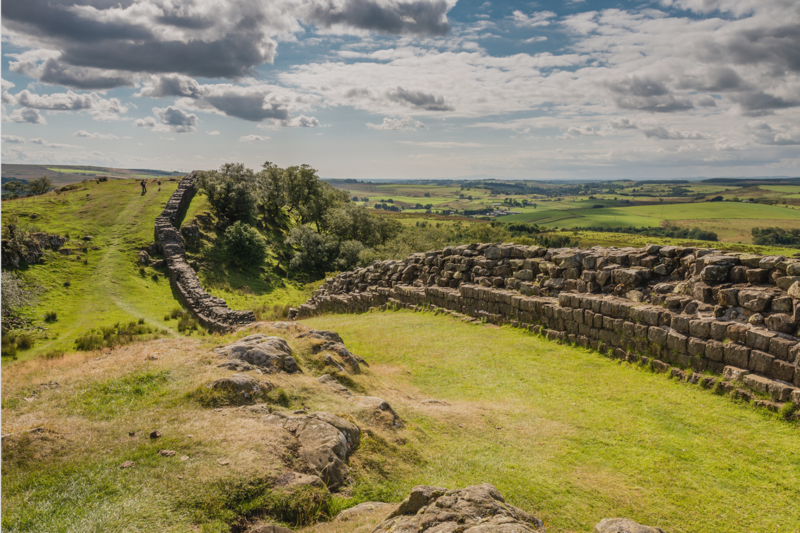 Take time out of your itinerary to visit a Roman Fort and one of the excellent museums such as Chesters Museum near Chollerford or simply sit on Steel Crag and admire the fantastic views and quiet solitude. You will need full kit including a waterproof jacket and trousers, a comfortable day sack and comfortable shoes. You will receive a more detailed kit list upon booking. By road: Chollerford is located on the B6318 a few miles north of Hexham, approximately 30 minutes from the A1 or 45 minutes from the M6. By public transport: Take a train from Carlisle railway station [CAR] or Newcastle [NCL] to Hexham railway station [HEX] and then a public bus (680) to Chollerford (17 mins). Check travelline.info for the latest public transport information. By air: The nearest airports are Manchester Airport [MAN] or Newcastle [NCL], from where you can take a train to Hexham railway station [HEX]. Day 1 - Friday: Arrive late afternoon/evening at your accommodation in or near Chollerford. Day 2 - Saturday - Lanercost Priory to Once Brewed: Transfer to the start of the walk at Lanercost Priory. 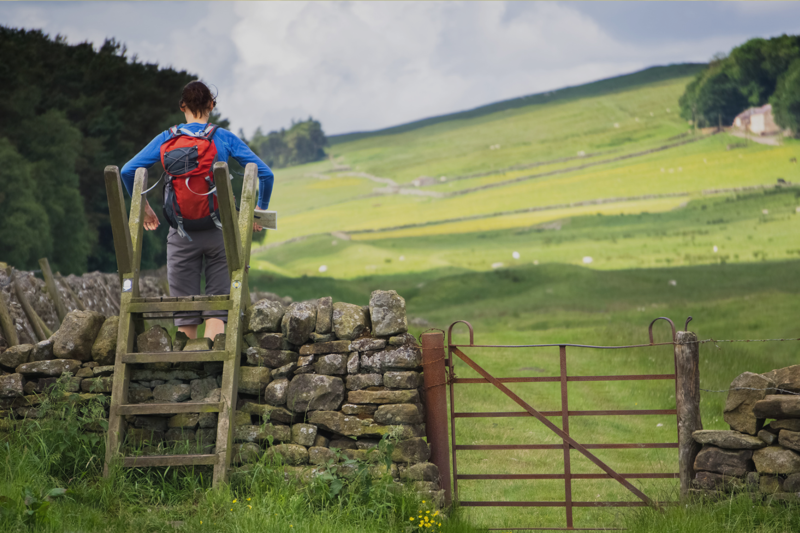 Enjoy stunning scenery and fascinating Roman remains on your challenge as you walk past iconic locations such as Great Chester Fort and Sycamore Gap before arriving at your accommodation near Once Brewed. 25km (15 miles) and 704m (2309ft) of ascent. 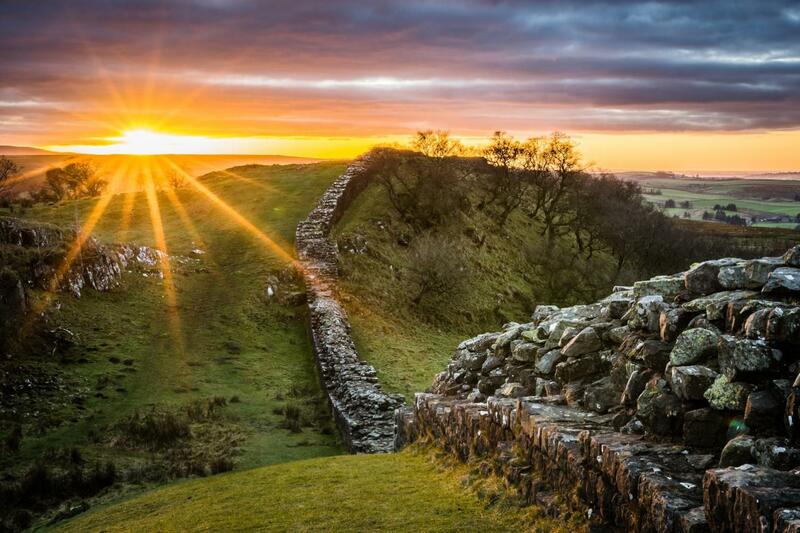 Day 3 - Sunday - Once Brewed to Chollerford: The day starts with a marvellous walk over Steel Rigg (one of the highlights of the walk), where you can enjoy dramatic views over the Northumberland National Park, before arriving at Housesteads Fort. These extensive ruins and accompanying museum give a great insight into life during the Roman period, taking you on a journey back in time. The walk then heads to Chesters Fort and down to the pretty village of Chollerford, where you will meet your car or use the public bus to get to the train station in Hexham. Optional extra night. 20km (12 miles) and 393m (1289ft) of ascent. 2 nights’ accommodation in a good quality B&B or hotel with ensuite or private bathroom and breakfast. Single rooms are available at a supplement.